In May 2017, Texas-based Triseum joined the Future Classroom Lab and became the first industry partner to have game-based learning as its core business. Triseum grew out of the Live Lab in the Department of Visualisation at Texas A&M University and sees game-based learning as an emerging force that positively impacts learning outcomes. As part of its membership of the Future Classroom Lab, Triseum asked European Schoolnet to run a validation pilot involving use of two of its learning games (ARTé: Mecenas™ and Variant: Limits™) in schools in several European countries. Over the course of almost one year, 20 teachers from schools in Greece, Italy, Norway, Poland and Portugal used the games in their teaching and took part in the project activities. Click here to read the results of the validation. Scroll down to read about the Triseum pilot activities and results in detail. 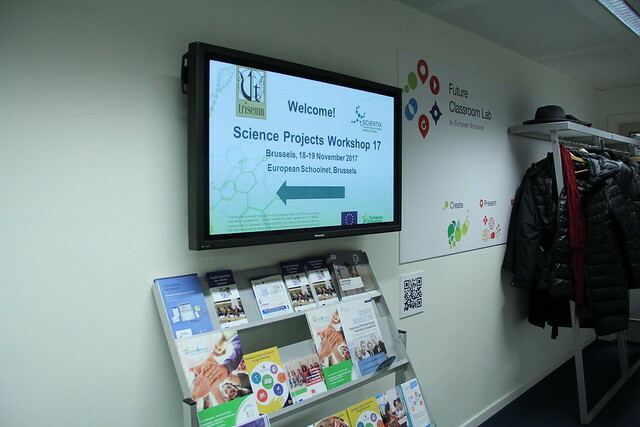 The first Triseum Pilot Workshop, the Science Projects Workshop in the Future Classroom Lab 17, organised in collaboration with the Scientix project took place in Brussels, Belgium from 17 to 19 November 2017. During the two-days event, 20 Triseum Pilot teachers from 5 countries (Greece, Italy, Norway, Poland and Portugal) received training and guidance on their activities within the Triseum Pilot. The pilot looks to evaluate how the two games - ARTé: Mecenas and Variant: Limits can be implemented in schools and what are the effects on student knowledge, classroom engagement and motivation to learn. As such, teachers learned about the two educational games they will be testing and discussed about the integration of aforementioned games in the classroom. All participants in the 17th Science Projects Workshop in the Future Classroom Lab received a certificate for their participation at the end of the event. Have a look at the photo gallery! Triseum Pilot teachers participated in their second face-to-face training in the Future Classroom Lab during the weekend of 16 and 18 February. 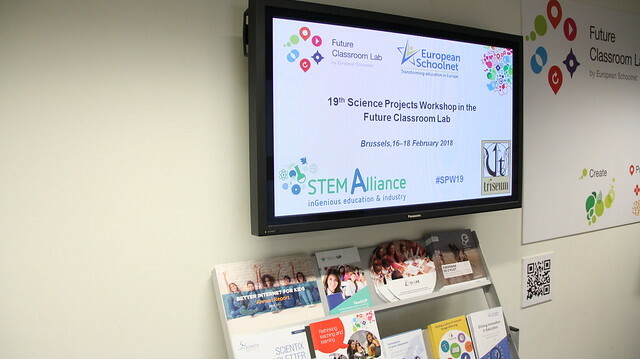 The meeting fell under the Science Projects Workshop in the Future Classroom Lab umbrella (SPWatFCL19), and was organised in collaboration with the STEM Alliance project. During two-days event, Triseum Pilot teachers from the 5 countries of the project continued working on their Future Classroom Scenarios using ARTé: Mecenas and Variant: Limits and took part in focus groups which allowed them to share their experiences about implementing the games in their classroom. ARTé:Mecenas Alberto Garniga, Italy Decision-making in history - act as a Medici! ARTé:Mecenas Agnieszka Pielorz, Poland Be like the Medici! ARTé:Mecenas Anita Streich, Poland Story Time!